Everything you expect from one of the UK’s most trusted names in moving. We handle moves all over the UK & abroad. For a friendly, professional service, get in touch for a quote. If you need storage at any point while moving home or office we are certainly the friendly people to help. We’re proud to be a family run business that’s been running for nearly 100 years. 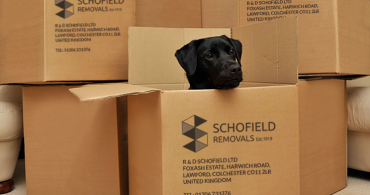 We deal with your move from start to finish with our trusted removals team. Moving is in our blood! Just a short note to thank you for all your thoughtfulness and kindness shown to us last Monday on our move bearing in mind the atrocious day and my husband not feeling too well. You and Kevin, your assistant, were both fantastic, and we would highly recommend your firm as the highest quality. We were very happy with the way everything was dealt with. All of the men were marvelous, willing, helpful, very professional. Everything seemed to go so smoothly. They seemed to know just where everything should go. They all seemed so experienced, calm and worked so hard. I have told everybody I know how wonderful the team was. You moved a quantity of furniture and equipment from Severalls and Clacton Hospitals to West Avenue, Clacton, and as the day went so well I feel I would like to thank you very much for your trouble in making excellent arrangements to suit our various requirements. It was a real pleasure to have dealt with you over the years, and I am hoping someone we know will soon be moving so that I can tell them how wonderful you were. We have now unpacked most of the stuff, and happy to say nothing got lost or broken. Everything was so beautifully packed, and was so clearly marked. We are truly grateful. We are writing to say thank you so very much for all your assistance with our ‘move’ to Scotland. It was all carried out totally professionally and everyone concerned has been extremely helpful.